Echo Hill Camp is a sleep-away summer camp for 145 boys and girls, ages 7-16. We are dedicated to helping children have a happy, exciting and meaningful experience while they build self-confidence and gain respect for themselves and others in a safe and nurturing environment. We strive to provide an atmosphere conducive to the creative expression of self where a child may seek to acquire new physical and artistic skills. The imagination and creativity of the children and staff are the only limits to the variety of the program. We offer a wide range of traditional activities which are taught based on each child’s health, safety and individual needs. We hope that we will see you this summer. 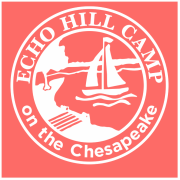 Click on the Echo Hill Camp logo below to start the Camp Video! Enjoy! Next Steps: Are you a Parent, Camper, or Alumni?